I currently own six sites, five of them are niche blogs. And as I mentioned in the post about my plans for 2019, a sixth niche site is in the works. or me, 2018 was a year in which I scaled up my business, by outsourcing and implementing a streamlined workflow that works for me. In this post, I’m going to share some of my insights, tips and tricks – all about running multiple sites. Whatever you call it, we’re talking about the same fundamental business model: A content-based website covering a specific topic (niche). Why even have more than one website? So, now that we know what kind of entity we’re talking about, why even scale your business to manage more than one? That’s a significant amount of work. Can one person even deal with doing that for several sites – at the same time? The answer is definitely yes. It’s doable. And you won’t end up looking like that cat. I do just that and so do many successful web publishers. My two favorite examples would be Jim and Ricky from Income School (that’s an affiliate link for their course) and Jon from FatStacksBlog. Here’s why we do that – and why you should consider growing your portfolio of content sites. That one is easy. If you have a working model for generating profit, why not replicate what’s working for you and make even more money? Granted, with niche sites it’s not always a wash-rinse-repeat kind of process. Different niches may call for different types of content, as well as different ways to monetize the site. If you’re like me, you will want to keep trying new things and see what works best in each niche. Let’s say your blog is a huge success, generating a full income for you. Hooray! You’ve made it – you can leave your day job! There are risks out there. You should try and mitigate them but there’s only so much you can control. And when your site takes a hit, it’s good to have other streams of revenue. Diversification just makes sense. Don’t leave your eggs in any single basket. Don’t rely on one site. Even when all goes well, some sites just have seasonal patterns. Seasonality is bad if you have one very seasonal site. It may rock during summertime and then die out over winter, leaving you with a diminished bottom line. A varied portfolio can help you balance out seasonal niches. If you want to explore a niche like “hiking in Maine”, you can balance that out with another site on “Skiing in Colorado”. The types of content will be similar in format but one site will peak during summertime while the other will do so in the winter. There’s a learning curve to web publishing. You have to learn everything, from how to choose and buy a domain, find hosting and install WordPress to the intricate art of content creation, optimization, promotion and monetization. Lots of tions, for sure. 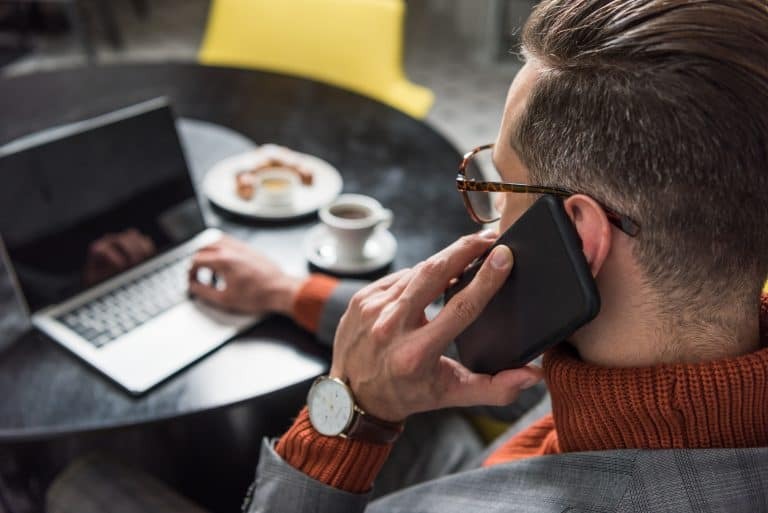 Once you’re past that fairly steep learning curve, why not make the most of your newly acquired skills by creating even more sites? Just because it makes sense to run several sites doesn’t mean it’s easy to do. In fact, it can be overwhelming. And if you go about it the wrong way, there’s a very good chance you’ll reach the burnout phase long before your sites will generate revenue. Having a solid detailed system for producing websites is essential. Your system should cover every phase of web publishing but your focus should be on a sustainable content production workflow. Content creation is the core of this business. 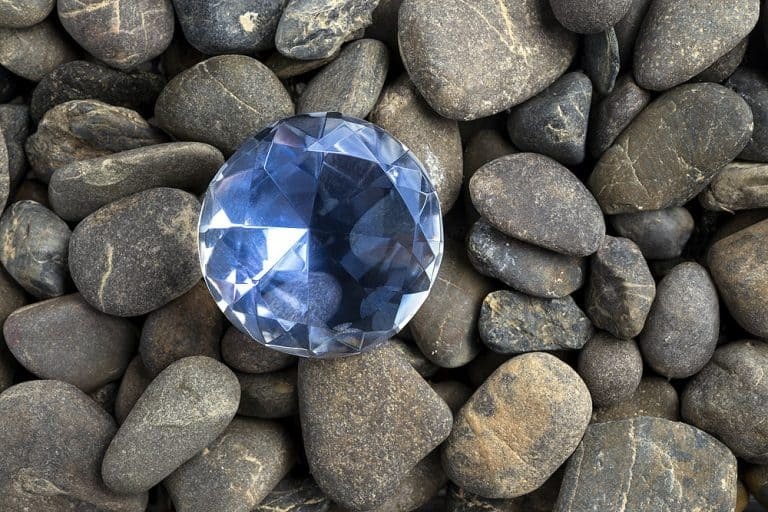 Yes, you need to choose the right niche and set it up properly, but most of your effort will then go into filling it up with unique quality content. Site promotion may also be a core element, depending on how much effort you put into promoting each post. I don’t do any link building but I do promote my posts on Pinterest. I have a carefully streamlined hands-off Pinterest promotion system in place. Whatever kind of promotion you do, you’ll need to find a system that works for you. As a web publisher, you’re trying to get people to your web pages. You do that by providing them with information or entertainment – or a combination of both. Each web page is a content item. In some web business models, your web pages could be forum threads, galleries, quizzes or other content items. With niche blogs, your basic content unit is a blog post. A well-written, blog post that helps a web visitor. In this post, I explained why you should put a LOT of content out there. The more, the better. The bottom line is – by producing more content units, you will get more traffic to your site. Some posts will bring in 200 visitors a month while others will bring in 2,000. Maybe even 20,000 – if you’re super lucky. There is no way for any of us to tell in advance how much traffic a specific post will end up bringing in. However, this being a numbers game, you can assume that your posts will end up bringing X number of pageviews on average. Just how many on average? I calculate by 250 pageviews per post on average. Others go for higher figures. As always, it depends on your niche, the average quality of your posts and how you promote them. My point here is that you should view your blog posts as production units and aim for producing as many of them as you can. And to create content in bulk, you need a production line. When managing multiple content niche sites, you need to keep producing quality content. All. The. Time. Most sites have hundreds of posts. Eventually, thousands. In order to constantly publish fresh quality content, you need a clear workflow. I outsource the tasks to writers. More on that in a bit. First, let me walk you through the various stages. As part of my site setup phase, I create a content plan, based on my keyword research. That plan usually includes the first 100 posts to be written for the blog, in a nice spreadsheet. As the site grows, I add more rows to the spreadsheet. For each of these posts, I create a task in Clickup. In that task, I describe what I need in the post, establishing word count, post structure etc. Since a lot of that is repetitive, I created writing guides for each post type, which I reference in the task description. I then mark the task with the status: Writer Needed. My writers have access to Clickup with their own accounts. They can access the space of the blog they’re working on where they can see which writing tasks are in need of a writer and assign one to themselves. As a writer assigns a task to herself, she also sets the due date for a set number of days in the future. That number depends on the number of words I asked for. If the writer has any questions, we communicate within the task space. If she needs to extend the due date, she lets me know there. Once she is done with writing, she assigns the task to me and moves it on to the next status: editing. At that point, the task shows up in my to-do list. I go over the post and edit as may be necessary (usually very little if it’s a writer I’ve been working with for a while). If there are any issues, I give them feedback on the task. I then pay the writer, based on the word count and tag the task with “Paid”. Next, I move the task to the next status – Adding Media – and assign it to my VA who takes over to add images, affiliate links etc. With most blogs, I actually publish the post after going over the text and let my VA add affiliate link codes and images post-publication. Once the post is published, I go back to my content plan spreadsheet and mark it as done. I also enter the number of words in the post and its date of publication. That’s my workflow, in a nutshell. Even if you do your own writing, establishing a workflow is a good idea. It’s crucial if you’re outsourcing content creation. Which brings me to the next point. I mentioned the writers and my VA in the workflow, so you already know that I outsource tasks along the production line. Outsourcing is something I’m relatively new at. It’s a learning curve, for sure, and I’m still learning. I do think I’m getting better at it. Here are a couple of things I do which really help me. I created thorough writing guides. For most posts, I offer my writers the “post recipe” developed by Jim and Ricky from Income School. I tweaked it a bit to fit my own style, but I do think it’s super effective for posts that answer questions. As a member of their Project24 course, I can also offer my writers access to their training materials, which is great too. I also have other writing guides, which explain my formulas or recipes for different types of posts. I have one for “tip lists” and another for “shopping guides”, and a few others. This means I get the content from my writers just how I like it. When I hire new writers, I let them know that I expect them to follow my writing guidelines. These days, I actually look for inexperienced writers because they’re easier to train. I’ve had less success with established writers, especially those with a lot of writing for printed magazines. My writers have a training program in place, including the guides I’ve specified before. I then spend time working with them on their first tasks. I provide very detailed feedback, so they improve over time. Usually, within 4-5 posts, they adapt. From that point on, their posts require very little editing. Everything I talked about up to now – outsourcing and creating a valid workflow – is true for anyone who wants to scale their content production. Even if it’s just for a single website. After all, some sites publish multiple content units every day. When you manage several websites, you get the added challenge of balancing content production efforts between sites. Whatever amount of posts/words you can produce per month – you need to make sure you’re allocating between your sites the way they’re needed. I don’t mean all sites need to get an equal amount of content every month. Far from it. I mean you should be in control of the amount of content each site gets in a particular month. I outlined the portfolio I want to have a year from now. The number of niche sites, and how many posts I’m aiming for with each one. Their size is based on the niche – some niches are larger than others. I plan on managing a total of six niche sites during 2019. Three will end up being large sites of that will eventually have thousands of posts in each. Two are mid-size niche sites which will probably end up having 150 or so posts each. One is a very small micro-niche and will have a total of 50 posts. That may change later on in 2019, but for now, I’m basing my work plan on 60 posts a month – limited by my budget. With the workflow I described above, I could probably manage up to 10 posts a day, without a problem. That’s 300 posts a month. Any more, and I would need to outsource at least part of the content management (which would be fine). However, producing 300 posts would be way too expensive. I currently pay 3 cents a word. With an average of 2000 words per post, that’s $60 per post. Ordering 300 posts would cost me $18,000 a month. I am definitely not at that point yet. My monthly budget for written content is capped at $4,000 a month. Over the past few months, I spent around $3,500 a month or so. That’s 60 posts a month, give or take. So, I’ve established what my monthly production quota is and the relative sizes of sites that I want to end up having. Now it’s time to to put it all together. The number of planned posts for that month. Projected total number of posts in the site – which is calculated based on the initial number before January 2019, plus any posts that I add in the planned column. The nuber of actual posts added to that site during that month. The last column in the spreadsheet is the total number of posts that I plan on producing a month which is 60. That column is created based on whatever I enter per site. It’s a sum of all post numbers I enter for each site. If I add too much, it’ll go over 60, so I need to adjust by reducing the number of posts on another site. The columns that shows how many posts were, in fact, added is automated as well. You may recall I mentioned earlier that whenever I check a post off the content plan, I enter its details in the content plan spreadsheet? Well, the master spreadsheet is taking that data directly from there. I also have another nice tab with a nice colorful chart that shows me in real time how many posts there are in each site. Another chart shows the number of posts each month, with a breakdown of which site they were published in. It’s a great way to get an overview of what’s going where. It’s also quite satisfactory to see the charts change and grow as I publish posts throughout the day. To sum it up, I manage multiple content sites by creating a workflow and outsourcing some of the tasks. I use my spreadsheets and Clickup to plan content, produce it and track my overall progress. Far from it. Remember, I only began this scaling operation last year. I keep changing, tweaking and – hopefully – improving my workflow and other aspects of my work. I learn a lot from how other web publishers manage their own production lines. Some bloggers do share that and to me, that’s not only insightful but also inspirational. If you have any suggestions or questions, bring them on! Just leave me a comment to do that! What makes a blog post really great? 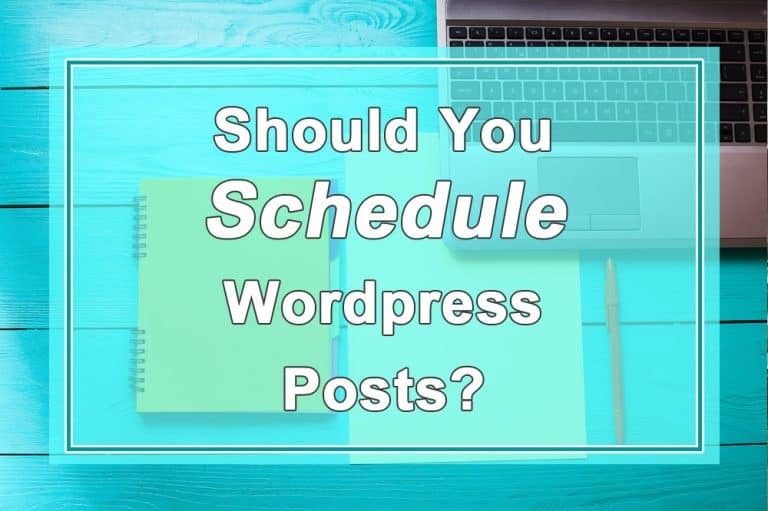 Should you schedule WordPress posts?